Alpine climbs or winding valleys - your roads await. Predictable steering: Diving into corners, sudden changes in direction and sprinting to the line feel natural and purposeful. Return on investment: Riding is hard work – get a return on your energy investment with an efficient pedaling design. The Teammachine has won them all; the Tour de France, the Olympics, World Championships, and grueling Classics. Despite its success, BMC hasn't been resting on their laurels: to stand still means being overtaken – to remain at the top, the best must evolve. To bring you the new Teammachine, they pushed the boundaries of advanced cycling technology. Its creation has been all-encompassing. First they gathered feedback from their professional riders – no one knows the Teammachine better than they do. BMC also sought advice from partners outside of the industry to make sure they had access to the latest scientific research. They've leveraged their decades of in-house carbon expertise, and explored the possibilities by applying their ground-breaking ACE Technology. The result is the pinnacle of performance in competitive cycling: the world's raciest balance of lightweight, stiffness and compliance, perfected with maximal integration and Swiss design. Let there be no doubts, they are ready to continue to dominate the peloton. 1, 2, 34,000.... BMC's proprietary computer technology evaluates thousands of versions of a frameset design, ensuring the final product delivers the performance riders demand. With ACE technology, BMC can compress years of physical testing and prototyping into few months of Finite Element Method (FEM) cycles. Rider's choice - Aesthetics should not be an afterthought - DTi allows BMC frames to look like the precision machines we designed them to be, regardless of drivetrain variations. Unique to BMC, DTi (Dual Transmission integration) allows the cable routing to be easily swapped between mechanical and electronic drivetrains, giving you total freedom. Applied to all of our new road frames, and even some of their new off-road platforms, the integration is clean, without loss in the aesthetic or aerodynamic departments. An understated look that performs. BMC's in-house Accelerated Composites Evolution (ACE) technology accelerates the development process by light years. Usingthis virtual prototyping process instead of traditional methods meant BMC could explore more tube shape options for the Teammachine. 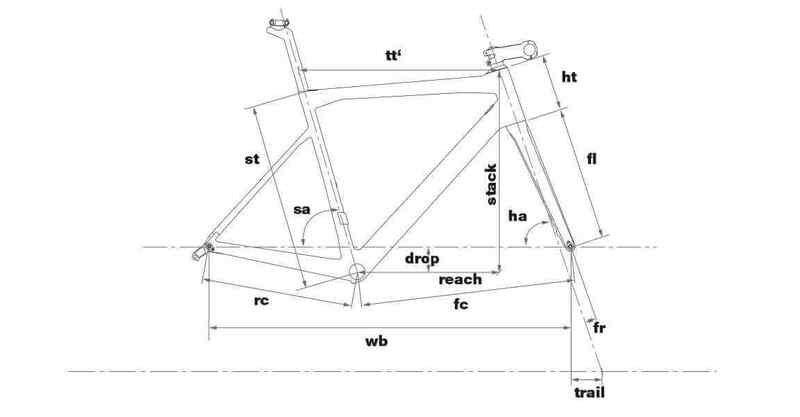 Analysis of the load distribution from the rider andinduced brake forces, led them to design an asymmetric bottom bracket and chain stays as well as a beefed-up brake directbrake-mount section. Asymmetric tube shapes enable us to continue to deliver the superior ride experience the Teammachineis famous for. BMC has become obsessed with integration. It takes some thinking outside of the box, but finding innovative ways to shape carbon fiber tubes to integrate cables and components with the frame, without sacrificing performance, is one of our favorite challenges. As well as giving it a sleek look, the Teammachine's high level of integration has an additional benefit: dirt and delivera very clean look. On the Teammachine BMC's engineers cleverly nested the Di2 junction box out of sight within the frame, it also has an internalcable-guiding system which makes servicing easier andprevents annoying rattling. If your friends didn’t have bike envy before, they definitely will now. The equation behind creating the stiffest, lightest and most compliant bike is a mix of knowledge gleaned from years of unbridled experimentation at BMC’s Impec Lab with the know-how of an engineering team skilled in bike-specific carbon technology. Once ACE Technology did its job to define the perfect tube shapes, their Impec Lab technicians scrutinized carbon lay-up methods to define the strongest yet lightest construction for the Teammachine SLR02.